Darius Rucker is a national celebrity, but in Charleston he is a local hero. Especially at the MUSC Children’s Hospital. Rucker continuously donates his time and efforts to help fund raise and advocate for MUSC and the new Shawn Jenkins Children’s Hospital, as he is the co-chair for the campaign. It was no surprise when Darius chose the MUSC Children’s Hospital as his charity of choice in the upcoming Hometown Heroes episode airing Friday, March 31st on CMT sponsored by Dodge Ram. During his visit to the hospital, Rucker and his team brought everything needed to update the existing teen area into a new and improved lounge. This area includes new big screen TVs, gaming consoles, a selfie booth and lots more. During Rucker’s visit he performed a few songs for the patients, their families and MUSC staff. In the crowd was sickle cell patient, Zion Thomas, pictured below. Thomas is the 2017 CMN Hospital’s Champion for the state of South Carolina. The Today Show will have a special segment that will feature Thomas and Rucker and their special friendship. This will air on Thursday, March 30th at 9:00am. 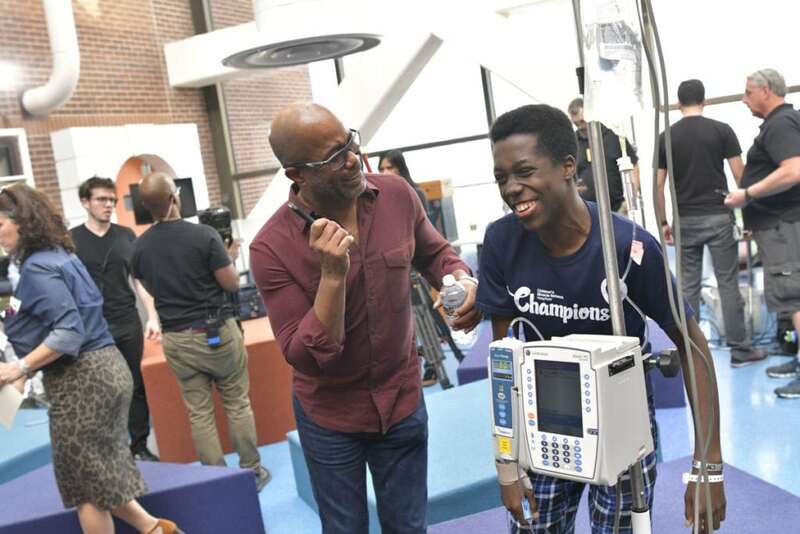 Charleston is lucky to have a supporter like Darius Rucker, who genuinely cares for the kids treated here at the MUSC Children’s Hospital. Check out this sneak preview of the CMT Hometown Heros episode here and don’t forget to tune in to see the amazing work done by Rucker and the Dodge Ram team. Darius’s success has not changed him a bit. He grew up in a tough area, so he Knows​ how it feels to be at a disadvantage. He gives back so much he makes the state and city of Charleston proud. He is a real humanitarian. You go, Darius.